Garo Yepremian, former All-Pro NFL kicker with the Miami Dolphins, and currently a FONAR sports consultant. MELVILLE, NEW YORK, August 11, 2005 - FONAR Corporation (NASDAQ-FONR), The MRI Specialist™, announced today the sale of its Upright™ MRI scanner to a freestanding center in the Greater Philadelphia, Pennsylvania area. 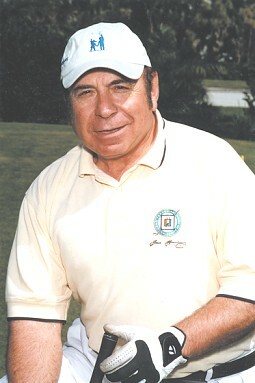 Garo Yepremian, former All-Pro NFL kicker with the Miami Dolphins, was instrumental in the sale. FONAR has now sold six Upright™ MRIs in Pennsylvania since entering that market with this product a little more than a year ago. "Garo is a very captivating person and accomplished motivational speaker. He serves FONAR well and is especially good with our customers," said David B. Terry, Senior Vice President of FONAR. "Garo markets our Stand-Up™ MRI with the same competitive spirit that propelled him to the status of a superstar during his career in the National Football League. We are absolutely delighted to have Garo on the FONAR team. This marks the second sale in which Garo has been involved." "You can't kick a field goal lying down. You have got to be standing up to kick a field goal," said Garo Yepremian. "I have had many MRIs throughout the years and am claustrophobic and uncomfortable in the tubes. I want to be in the Upright Weight-bearing position, watching TV, when I have my MRI." "It is obvious to me that there is more clinically relevant information to be had from Upright™ images of the spine, leg or foot on FONAR's new Upright™ MRI machine than from a lie-down scanner," said Mr.Yepremian. "This is my message to everyone I meet when I attend some 50-plus charity golf events around the country these days." FONAR was incorporated in 1978, making it the first, oldest and most experienced MRI manufacturer in the industry. FONAR introduced the world's first commercial MRI in 1980, and went public in 1981. Since its inception, we have installed nearly 300 MRI scanners worldwide. FONAR's stellar product line includes the Upright™ MRI (also known as the Stand-Up™ MRI), the only whole-body MRI that performs Position™ imaging (pMRI™) and scans patients in numerous weight-bearing positions, i.e. standing, sitting, in flexion and extension, as well as the conventional lie-down position. The FONAR Upright™ MRI often sees the patient's problem that other scanners cannot because they are lie-down only. With over 100,000 patients scanned, the patient-friendly Upright™ MRI has a near zero claustrophobic rejection rate by patients. As a FONAR customer states, "If the patient is claustrophobic in this scanner, they'll be claustrophobic in my parking lot." Approximately 85% of patients are scanned sitting while they watch a 42" flat screen TV. Our latest MRI scanner is the FONAR 360™, a room-size recumbent scanner that optimizes openness while facilitating physician access to the patient. FONAR is headquartered on Long Island, New York, and has approximately 500 employees.